DENIE ROY + LAZETTE from ysabellesdigital on Vimeo. 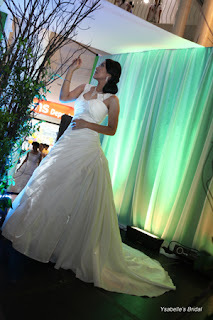 www.kasal.com recently came up with a contest called "Kasal.com's Most Liked Supplier". If you think we did meet (and hopefully surpass) your expectations for your dream wedding, please "Like" our PROFILE in KASAL.COM and share your comments! Great prizes await wedding suppliers with the highest no. of votes/comments. Most importantly, you and your partner will also get a chance to WIN 3days/2nights in Bohol Beach Club or an overnight stay in One Tagaytay Place or in City Garden Suites Manila! Winston + Manilyn sde from ysabellesdigital on Vimeo. Ysabelle’s Digital (Wedding Photographer and Videographer in Bacolod City) is owned and managed by the husband-and-wife team of ROY & LYNETTE VILLANUEVA. Named after their eldest daughter, the bridal shop has been a formidable force in the bridal industry of Bacolod City for the past ten years. Known for their magnificent craftsmanship, stunning beadworks, beautiful hand detailing, friendly service and unsurpassed attention to detail, Ysabelle’s Bridal Shop has kept a growing list of happy customers throughout the years. In 2006, it has ventured into wedding photography and videography with the same passion and dedication, telling love stories in moving, touching, poignant images. Equipped with the latest top-of-the line cameras and gadgets plus the unique creative juice of its team of photographers and videographers, the images become a visual feast of to the eyes and a fine treat to the emotions. Ysabelle’s Digital is about quality, friendly service and customer satisfaction. It has branches in Dumaguete, Iloilo and San carlos City to serve its growing clientele. Jushir & Lorwin SDE from ysabellesdigital on Vimeo. Ysabelle's Bridals was established in 1996, a few months after the Lynette Villanueva's eldest daughter, Ysabelle, was born. Since then, the company had taken small yet steady steps, continually improving and growing to become the biggest bridal shop in Bacolod City, Negros Occidental with branches in San Carlos City, Pangasinan, and Iloilo City, Iloilo. For the past ten years, Lynette has been at the helm of Ysabelle's Bridals, overseeing every aspect of our operations to ensure that we uphold our threefold commitment: QUALITY & CRAFTSMANSHIP, CUSTOMER SATISFACTION, AND FRIENDLY SERVICE. 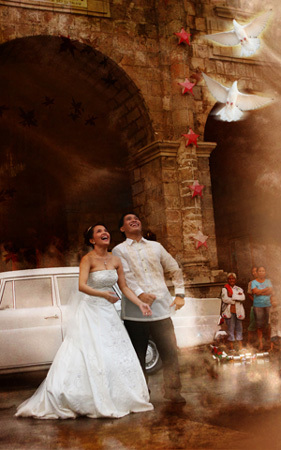 Ysabelle's Bridals offer wedding gowns and entourage attire, barongs, as well as videography and photography.